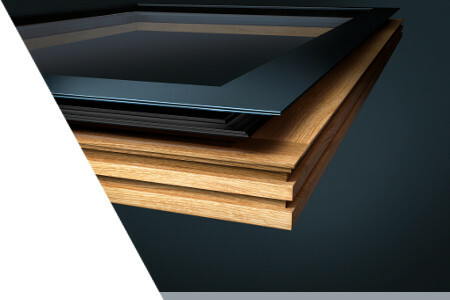 The FAKRO design engineers have joined forces with the leaders in the supply of hardware and aluminium to develop the most advanced technology in combining aluminium profiles with timber which has resulted in a seamless connection to give a unique and visually appealing product. Powder coated aluminium profiles give smart aesthetics as well as complete protection to the fully finished timber engineered components, which ensure high resistance to external conditions. The natural timber used on the inside ensures a warm feel with impeccable appearance. The innovative combination of the timber frame and aluminium cladding is not only a new trend in architecture and design, it also enhances the durability of vertical windows and doors. The technology applied and the appropriate materials allow for long-term operation of wooden-aluminium windows without the need for their maintenance. The latest hardware elements provided by Siegenia secure trouble-free use for many years to come. 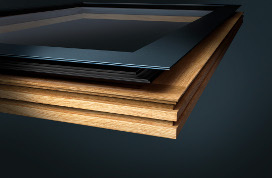 Advanced production techniques and high quality materials give longevity in both appearance and operation of INNOVIEW windows, where the requirements for maintenance is greatly reduced. Using the latest hardware components provided by Siegenia ensures trouble free operation and ease of use. 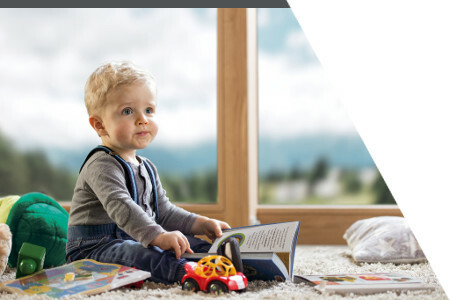 By using modern hardware and locking systems in conjunction with RC1 anti burglary glazing units as standard all INNOVIEW windows feature increased resistance to unwanted entry and provide the homeowner with the comfort of being both safe and secure. It is also possible to produce windows characterised by a greater number of security features in class RC2. 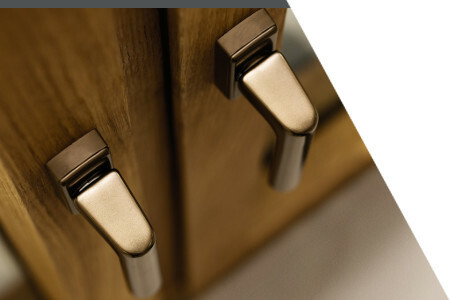 By using state of the art ironmongery and hardware the operation of the window is comfortable. Built in solutions ensuring long-term and trouble-free use will be appreciated by every user. In addition to providing rooms with a spectacular view and an abundance of natural daylight INNOVIEW windows and doors also provide excellent thermal performance. Windows are required to protect against heat loss and a vital element in achieving this is the glazing unit. 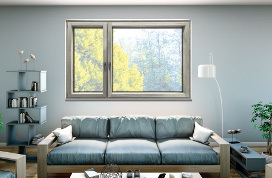 INNOVIEW windows are available in both triple and quadruple glazed variants thus giving the homeowner a choice. With the larger timber sections applied to the quadruple glazing the energy efficient parameters of the window are further enhanced. 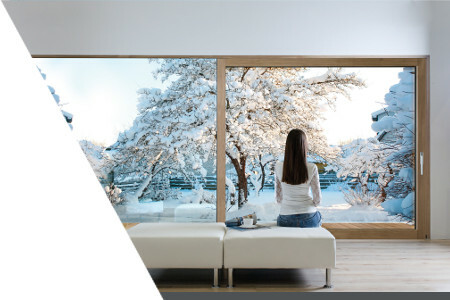 With a quadruple sealing system the INNOVIEW windows offer complete protection from extreme weather conditions making them ideal for exposed locations. Technical solutions applied in external seals prevent rainwater from entering the room and having direct contact with timber structure. 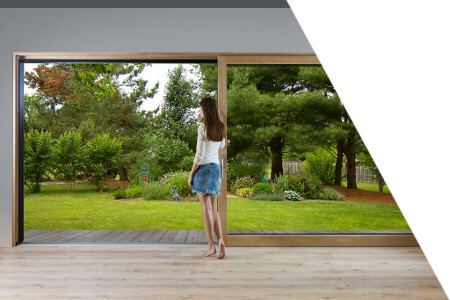 Using a modern design coupled with a wide range of colour options INNOVIEW windows and doors are available in a range of shapes and sizes giving the designer the opportunity to use their imagination in creating the ideal solution. The latest technology and technical solutions in the use of timber and aluminium provide a perfect combination of appearance, functionality and ergonomics. The seamless jointing method of the aluminium profiles provides a visually pleasing appearance. The timber is perfectly finished on the inside and the handles come with a beautiful polished finish to create unique and very aesthetically pleasing product.